Independent tour operator, The Gambia Experience has added a new hotel to its ‘Unique Collection’ of properties. The recently opened White Horse Residence in the small coastal village of Batokunku is built in the style of a traditional African Lodge, is located approximately 30 minutes to the south of the main resort areas, and is only a short walk from a white sand beach. Developed from the former home of its German owner, this thatched-roofed Residence enjoys an elevated position with unsurpassed views out to the ocean. The beautiful sunsets will undoubtedly become a key selling point of this hotel which prides itself on its good quality and personal service. There are currently only three guest lodges (two interconnected if desired) housed within the tranquil gardens, with a further four to be completed during summer 2014. Facilities include a saltwater pool with sunbathing terrace, again maximizing on the outstanding views, as well as access to an unspoilt beach located below the hotel (reached via a five minute walk along an uneven track). Here the sand stretches as far as the eye can see only interrupted by a local’s beach bar, the odd fisherman and striking birdlife that The Gambia is famous for. As an eco-friendly property, the water at the White Horse Residence is heated using solar power. Although there is no air-conditioning the thick walls and louvred windows ensure that the rooms remain cool. The hotel – booked on a half board basis – sources many local ingredients, including freshly caught fish from Tanji, as well as vegetables from the hotel’s own garden which is farmed by the local villagers. The hotel offers its own excursion programme including bird watching and fishing (payable locally), plus bicycle hire. Massages and manicures can also be arranged in the comfort of the guest’s own lodge. This winter, 7 night holidays at the White Horse Residence start from £799 per person*. 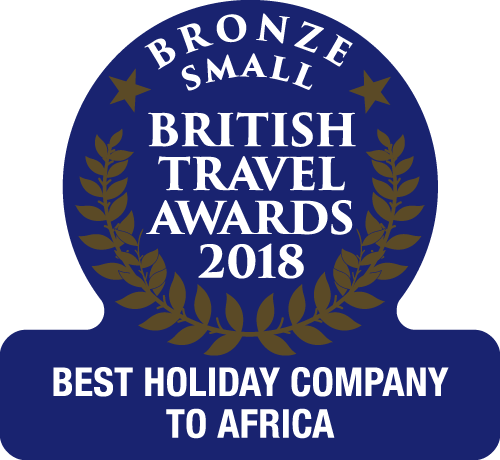 This price is based on two sharing a Standard Lodge on a Half Board basis and includes return flights London Gatwick –Banjul (Monarch), taxes and transfers. Three night stays including transfers (but excluding flights) at the White Horse Residence start from £199pp. Manchester or Birmingham departures may also be quoted. * lead-in price is based on 07 March 2014 departure and results in a saving of £249pp from brochure price.